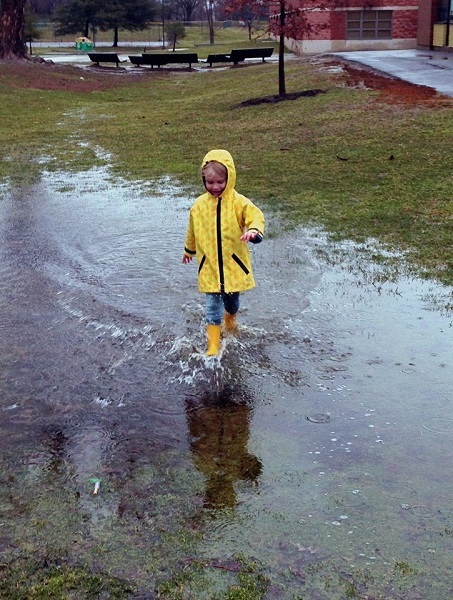 This week we asked you to share your favorite puddles pics. 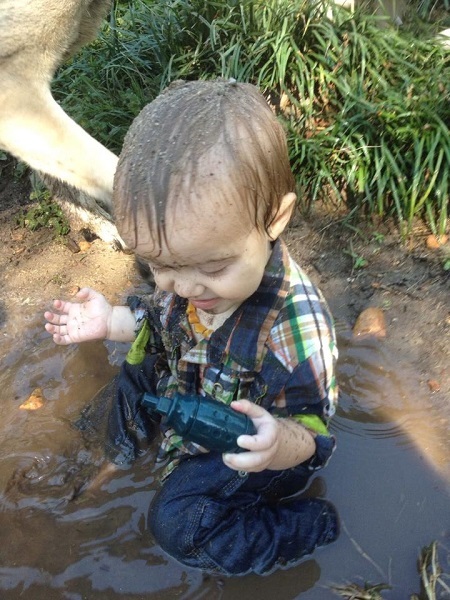 Baby Bear loves the water! 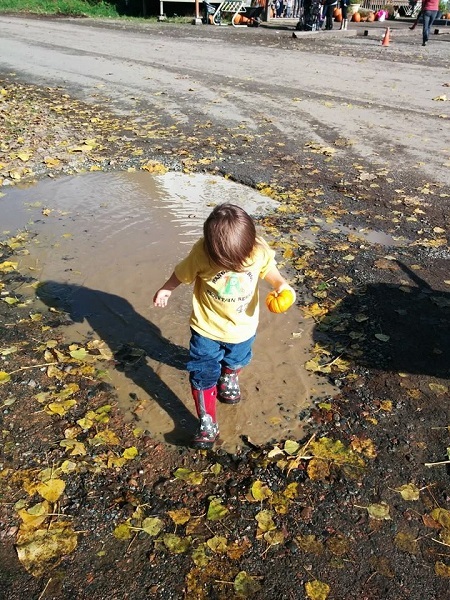 Shannon’s eldest hates puddles and mud, so it’s taken the little one until he’s almost three to discover the joy of a good puddle. 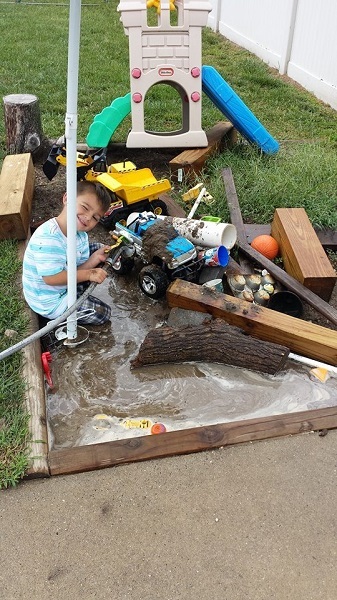 Big or small, we’ll splash them all. 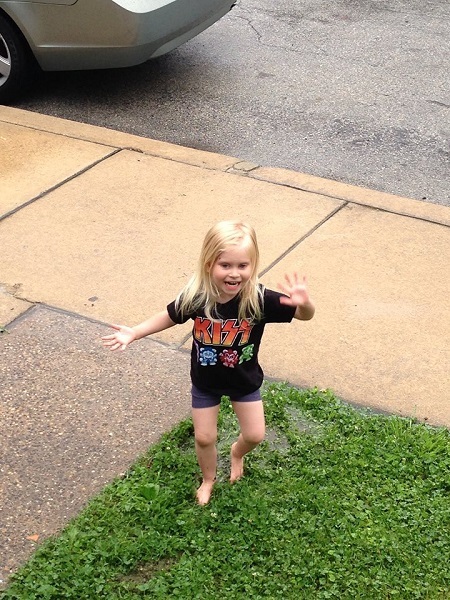 Tell us: What do puddles look like in your family?